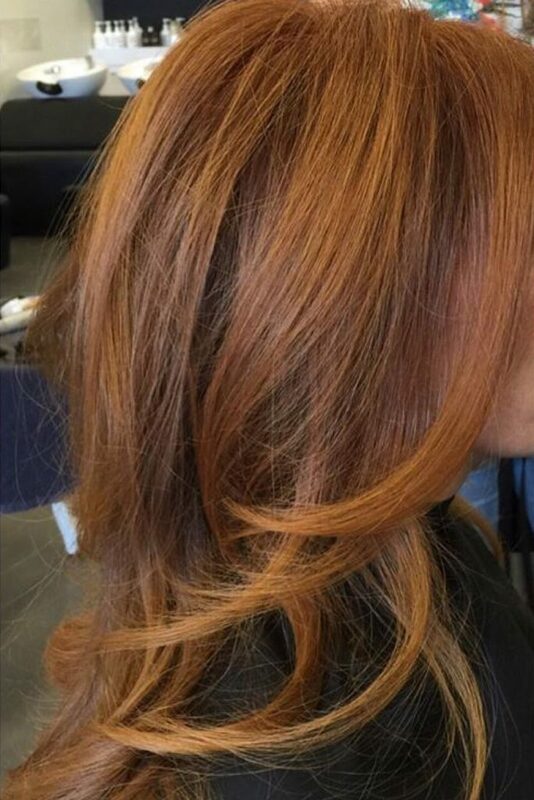 Such a beautiful cut and blowout on this gorgeous red head by our talented Cori! If you choose to keep your natural color, make sure to keep your hair bouncy and healthy by trimming it a few times a year. We also offer UNITE & Bumble and bumble at La Mode Salon, just ask one of our stylist to recommend what shampoo and conditioner would be best for your hair.